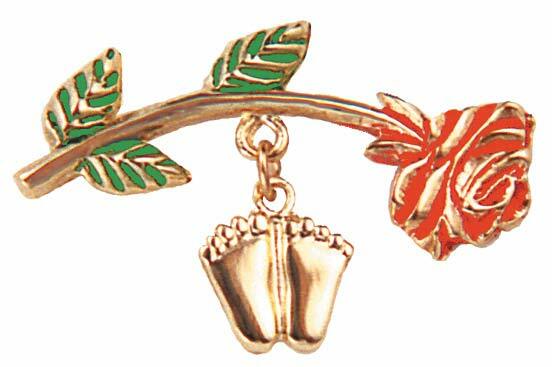 Description: A great pin incorporating the pro-life rose and the Precious Feet. 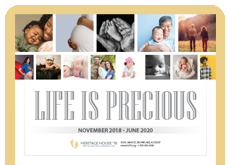 This pin is perfect as a gift for your volunteers, for banquets, and anywhere you want an elegant pro-life symbol. We ordered these last year and was surprised to see how fast they went. Am putting in another order for them today. I love this pin. It is so beautiful and a special gift. I bought a couple for this Mother's day as gifts for some of the prayer warriors and sidewalk counselors in Boston. Can't wait to purchase more for others. I bought these as gifts to give to some of the ladies on our Respect Life Committee at church. Everyone loved them. Beautiful! This is our favorite piece of jewelry. We used these at churches on Mother's Day and they were loved by all. It really looked beautiful to see all the Mothers wearing them at once. Then you see them wearing them throughout the year. I work for a PRC and facilitate post abortion healing groups. At the end of each group we have a memorial service and I provide each woman participating in the service one of these pins as a memento in honor of their babies. They love them! This pin was given to me & I want to give 1 to my mother....who chose life for me. I ordered a few of these as special gifts. 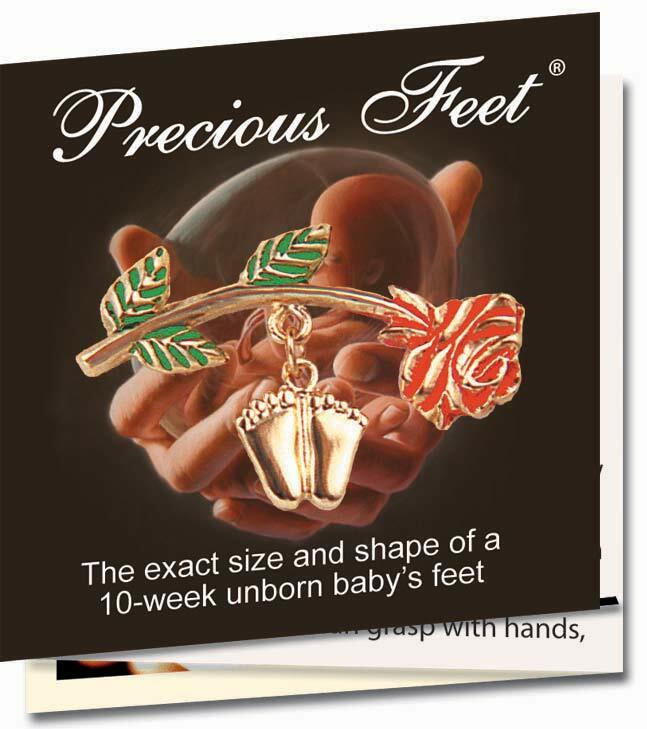 They feature both symbols of the Pro-Life movement, the rose & the Precious Feet. Though I've seen many folks wearing the customary embroidered rose stickers, this is the first metal pin I've seen featuring the rose. The Rose Pin with the Precious Feet dangle is an elegant expression of one's pro-life stance. Besides wearing it during Sanctity of Human Life Sunday, I have worn it for Mother's Day to show appreciation for my pro-life mother and my own children's precious lives. I have given the Precious baby feet to girls I have counseled for life and they hold it and wear it like a little treasure to cling too, as they decide for life.